Punctuation marks give shape to an otherwise flaccid sentence. The English classes in schools have stressed enough on why they are important and how they make our lives simpler by acting as cue cards. Pause. Stop. Be surprised. Question. It is akin to having sign boards on highway, so that we know where to go with the sentence. We will know where to steer our words and how. Even though, we have been blessed with an ample supply punctuation marks, our feelings and expressions are so varied, there is always room for more. So, we at Curious Halt, will not refuse more signboards along the way if it means it serves our eclectic emotions. Before we get on board these ‘Lesser known’ punctuation mark train, let’s see what we do know. First of all, the classics. These are the three that have followed us from the school corridors to the office issued laptops. The ‘full stop’ or ‘period’ marks the end of a sentence and the use of comma indicates a brief pause. 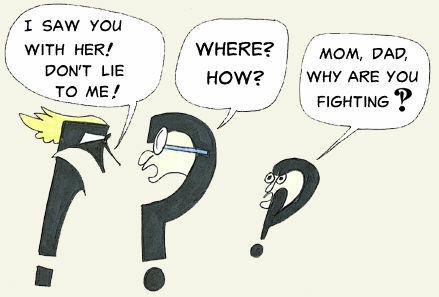 Likewise, the use of Question mark is to raise a question or query. In addition to the above, these punctuation marks are not used as much as the above three but, those who read or write a lot probably will appreciate their usage. The exclamation mark, is when we feel very strongly about something or when, we are shouting or when the inner drama queen wants to make a grand entrance. While, the semicolon is a feared punctuation mark, it is fairly popular. It is used when comma doesn’t cut it, and full stop is overkill. Caution is advised so as to not invite the wrath of grammar Nazis. Anyone who speaks sarcasm as their second language, will appreciate this to no ends. It takes effort, patience and most of all, restraint from murdering to explain a sarcastic remark to someone. That’s when snark comes to rescue. First of all, can we all take a moment to appreciate how very badass it sounds? Moving on, the interrobang was created in the year 1962, by American Advertising agency head Martin Speckter. When you have to ask a question and you have to do it excitedly. Basically, we could use the ‘bang’ at the end of every “What the…” sentence. “Are you insane?” would carry the proper emotion with a bang at the end of it rather than a question mark or exclamation mark. As a result of their marriage, and an advertising agency’s ancient drive to think up new ways to sell anything and everything, we have an entirely novel punctuation mark. This magical sounding punctuation literally means a group of stars and indicates a break in the text. If you read books, you might have seen three asterisks lined consecutively separating chapters. This is called a Dinkus, and is the replacement for Asterism. Asterism is no more in use. To indicate a break or to bring emphasis. Love Point was first proposed by Herve Bazin in his essay titled “lets pluck the bird’ in the year 1966. It denotes as much romance as it looks like; two questions marks, mirroring each other, giving meaning to a sentence ending with them. I mean, really, two unknowns meeting and mirroring is what love is. So, how perfect is this? 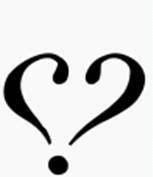 A question mark looking at its reflection or a heart, if you will. At the end of a heartfelt, warm, fuzzy and love filled sentence. Example: Do you know how you make my world light up (Lovepoint). 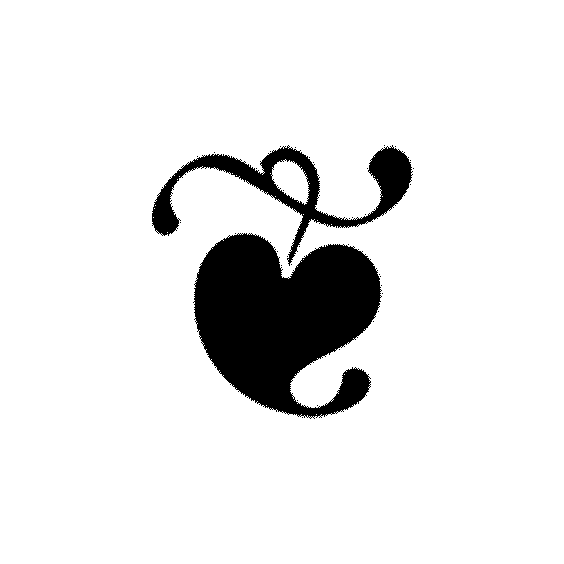 This beautiful punctuation mark is also known as ‘Fleuron’ or ‘Printer’s Flower. Even this, like asterism was used as a line break. But, its beauty hasn’t gone unnoticed, and it is very frequently used for borders. We are not complaining, nothing like an ancient glyph to spruce up the “antique” quotient of a book. Like a heart shaped leaf plucked along with its curling tender stem. Traditionally, as a line break but nothing to stop you from printing it along the borders. Moreover, using a glyph for ornamentation has its own charm that just a printed rose cannot hold a candle to. Although, we still wont care much for these fancy but dead punctuation marks. But, it’s a writer’s, reader’s and any curious person’s high that compels us to go ” Wow, I didn’t know that”.